Larchfield Road, Leeds, West Yorkshire, LS10 1QP, U.K. 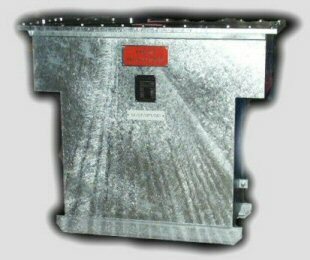 Totally enclosed, air cooled,isolating transformers sealed in special stainless cases suitable for use in food-processing. 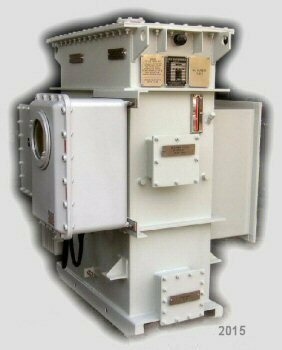 Seismically qualified, cast in resin isolating transformers for R.N.A.D. Coulport Nuclear Facilities. Sealed type, non-flammable fluid filled, high Spec. 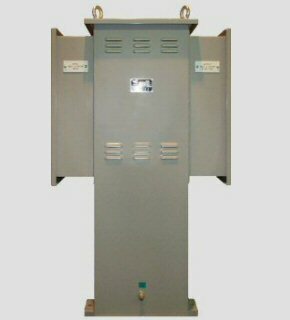 antennae isolation transformers with high voltage interwinding insulation. 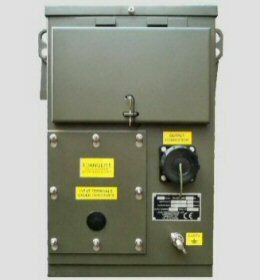 Manufacture of many Class ‘H’, Transformers, and encapsulation into 1060 HeliMiner continuous mining machine's Transformer boxes. These machines are subject to high temperatures, constant vibration and have very tight design parameters. 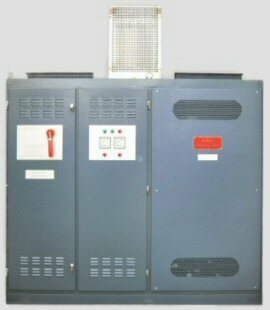 Three Phase to Single Phase, Conversion Transformers. photo kindly presented for our website, by Single Buoy Moorings Inc.
Leeds Transformer Company was established in 1947. 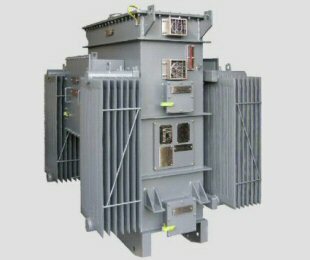 It has, since then specialised in the manufacture of bespoke, custom build, low loss, energy efficient, high quality transformers and transformer rectifiers. These are designed and built with pride by our dedicated, highly skilled team at our works in Leeds,West Yorkshire,England. 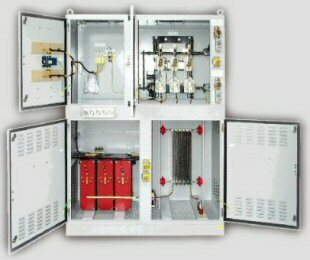 Our transformers and rectifiers range from 1 to 550KVA and are built to British and International standards with, short lead times, quality assurance traceably and conforming to the BS EN ISO 9001:2008 Standard, and if needed, documentation (Quality and Technical IOM Manuals with AutoCAD drawings). Liasing with consulting engineers and specifiers to produce the 'right answer' for the project. Fully detailed, priced quotations, detailing technical and administrative arrangements, and terms. In house design utilising AutoCad®, Microsoft® Excel & 'In-House' design tools & data. 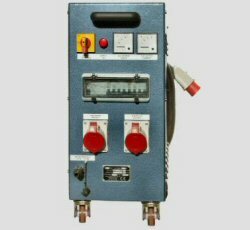 Manufactured to Lloyds Register of shipping, BS 171 – IEC 60076 – IEC 60726 where applicable. Computer controlled Sales and Purchase, with Quality, Stock Procurement and Control, Conforming to the BS EN ISO 9001:2008 Standard, using Filemaker® database system. All instruments, precision tooling and lifting equipment certified & calibrated. In House automated cutting of British Made Tata, Electrical grade, grain orientated, low loss steel cores, in straight and mitred configurations. Clean, ferrous free, winding environment for Prime Quality, UK sourced, electrical grade, copper coils. 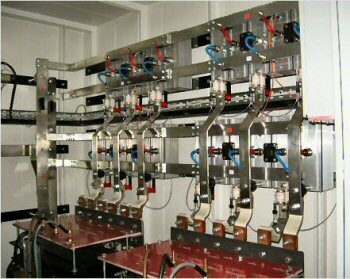 Insulation improvement by drying out, vacuum impregnation, and full thermal curing of Advanced Electrical Varnish (AEV) solventless varnish, in a Marr oven, tested at each stage by Calibrated Megger Instruments. Extremely Robust techniques employed in designs of Coil to Core, and Transformer to case assembly. 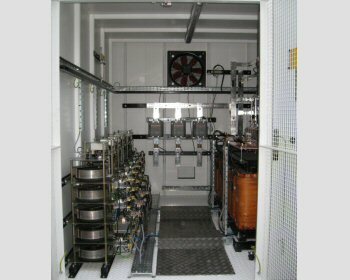 Fluid coolants utilised are, M & I Materials Ltd, Midel® 7131, Xiameter PMX 561(was Dow Corning® 561), Transformer Insulating Oil BS148: 2009 & IEC 60296:2012. Hermetically sealed units issued with inert BOC dry nitrogen blanket above fluid. Routine, and temperature rise (type) testing IAW BS EN 60076. 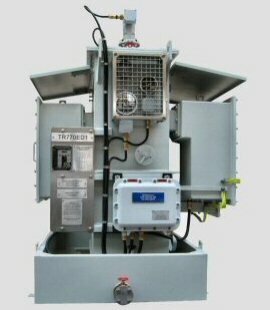 Also available, Impulse testing by NaREC, ATEX / IECEx Certification by SIRA/CML, Inspection by Bureau Veritas (BV), Det Norske Veritas (DNV), Lloyds Register of Shipping (LRS), American Bureau of Shipping (ABS) and/or similar authorities. CE marking in accordance with European directive 2006/95/EC. Casing, Crating, Packing & Shipping to international standards where required. Transportation by groupage, door to door, sea and air. The above is a 'short form' of our capabilities - if we can help you, please contact us. There will always be one of us on hand. The company does not have a rapid employee turnover, however, occasionally we do have openings (job vacancies). If you live in the local area, or perhaps Wakefield, Pontefract, Castleford or other commutable areas, are a winder or have lengthy experience in Transformer winding or assembling, and are seeking jobs with a small friendly team, why not contact us. Any other skills that you think may be of use to us?? We are happy to tailor a job around a particular person or expertise. 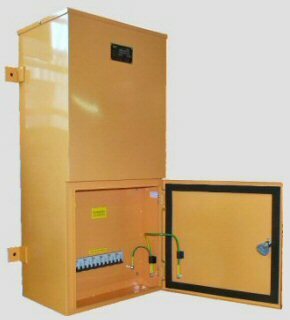 Leeds Transformer Company Ltd is committed to high standards of information security and privacy. As a company, Leeds Transformer places a high priority on protecting and managing data in accordance with accepted standards and complies with all applicable General Data Protection Regulation 2018 (GDPR) regulations. The protection and respect of the organisation, clients, staff and other individual's personal information/rights is paramount, therefore complying with the law and following good practice is essential. Training and support is provided to the staff who handle personal data, so they can act confidently and consistently. In addition, Leeds Transformer Company Ltd has voluntarily registered with the Information Commissioners Office and given all the appropriate notifications. Leeds Transformer Company uses closed circuit television (CCTV) images to assist in providing a safe and secure environment for its employees, visiting clients, customers and suppliers. The purposes for the installation of CCTV systems include the following:- The assistance in the prevention or detection of crime or equivalent malpractice, The assistance in the identification and prosecution of offenders and the Monitoring of the security at the Company’s business premises. 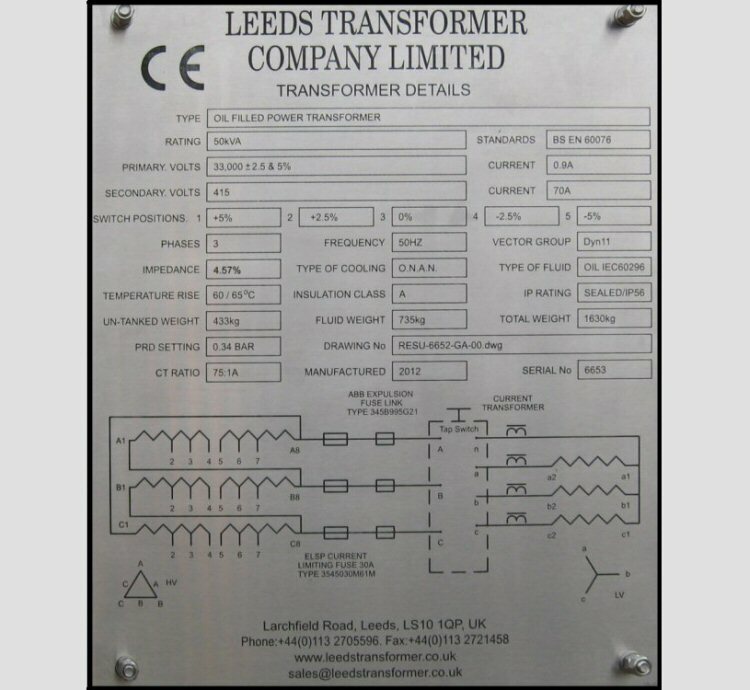 Leeds Transformer is a Registered Company with the Information Commissioners Office as of May 2018 Reference Number ZA360973. Max Harris and Walter Townley started "Electro Motor Rewind Service", repairing electric motors, transformers and	vacuum cleaners in a four roomed 'lock-up shop', in Meadow Road, Leeds, on the 1st September 1947, officially registering the company on the 5th September 1951. With the introduction of Bernard Coates as a Director, the 'firm' took on transformer design and manufacture with a change of name on 9th July 1964 to Electro Motor Rewind Service & Leeds Transformer Co. The Transformer Company employed more personnel and eventually moved to the present purpose built factory in September 1965. Walter Townley died in 1968, and is remembered as a good friend. The Transformer side of the business performed particularly well, and the rewind side was dropped, with a final change of name to the present Leeds Transformer Company Limited, on 31st July 1972. George Steele and Chris Jones - long term, electrically qualified, employees, joined by Mal Anderson, a Mechanical Engineer, took over the ownership from Max in 1986. A dedicated 'Winding workshop' was added in 1989. Nigel Wilkes, another long term employee, who is qualified in Electrical & Electronic Engineering, in addition to qualifications in Management, took over the company in September 1999. Nigel is now the majority shareholder and Managing Director. A centrally heated stores was built in 2000. Max Harris, sadly, died suddenly in October 2005, aged 92. He was a director for 58 years, and maintained a keen interest in the Company to the end. His departure was the end of a significant era, and he is very much missed. Further expansion, early in 2009, into an adjacent factory, taken on as a warehouse, enabled reconfiguration of the old 'Stores' into a 'Ferrous Workshop'. September 2009 saw our office and canteen structure replaced with purpose designed canteen, Ladies & VIP toilet & 'Yard Office' below, with Admin, Design and MD offices above. July 2014 saw the installation of an Overhead Articulated Bridge Crane, in the Main Workshop. George Steele, Chris Jones & Mal Anderson, are still directors, working 'part-time', giving technical and other assistance. Eligible employees continue to be sponsored through relevant Foundation Degree and BTEC Nat.Cert. courses.